Every sunshade offers sun protection, but only the best protect you from its dangerous ultraviolet (UV) rays - uv protection. Although only a relatively small amount of the total solar radiation reaches the earths surface, even these UV rays can be extremely harmful to the skin because of their intensity. 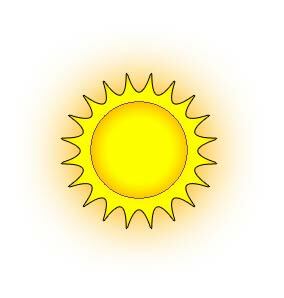 Whilst UV-C radiation is entirely absorbed by the earth's upper atmosphere, UV-A and UV-B rays penetrate to the earth's surface. It is the energy of UV-B rays that has a particularly severe effect on the skin, not only causing symptoms such as sunburn but also increasing the risk of skin aging and skin cancer. Sun protection | uv protection has become much more high profile in recent years, with austrlia leading the industry in innovative us protection and sun protection solutions. Our shade sails from australias best known manufacturers offer you cost effective sun protection | uv protection. The shade sail is an inexpensive solution for creating shade with protection against the sun's harmful UV rays. Unique among solutions designed to provide shade, the shade sail is specifically designed to block harmful uv rays. Many other shade solutions block sunlight very effectively, but they do not block the UV rays which we now know cause most of the sun's adverse effects from mild sunburn to much more serious problems. Originally developed in Australia, the modern shade sail has been specifically designed to combat the growing number of people in Australia who were being diagnosed with skin cancer in the 1980s . The government of Australia implemented a series of measures, one of which was the widespread use of shade sails to create safe shade in public areas including schools, playgrounds , shopping centers , etc. With their public education program, it was not long before the shade sail started to become a common site. As a result many private individuals also began to install a shade sail in their garden to protect patio areas, swimming pools and all areas where people relax or children play. Shade sail were also discovered to be a cost effective way to cover parking areas to ensure that the car remains cool even in the hottest parts of the day and are frequently now used by car enthusiasts to shade their cars and in Australian car parks shade sails are a common feature. The shade sail can provide an attractive and versatile way to provide shade. While the UV protection was a main design point, the shade sail also has another important feature .... it is simple to install and has an ability to create a pleasing architectural structure. Installing a number of shade sails together can create a unique and interesting look for your outdoor space, or a simple "twist" when installing the shade sail can also create some something very visually pleasing. You too can create shade in your garden or outdoor area with shade sail. A top quality shade sail from the Shade Sail Boutique not only protects against harmful UV rays but can also add an interesting structure to your garden. Function : Shade sails are designed and sold as semi-permanent structures. While solid structures require a building permit, building regulations and must be designed for all year around weather conditions including potential snow loads, storms, etc. with the shade sail this is necessary as they are intended to survive the weather of the summer season , which does not exclude a sometimes difficult weather. Fixing points : You must have very strong fixing points for all corners of your shade sail, as significant forces can be exerted on the fixings. The Fixings used to connect the Shade Sail to the fixing point also need to allow for these forces. Shade Sails need to be installed "under tension" to ensure that they do not flap in the wind. Location : How exposed is the area you are considering? If you are the head of a valley which channels the wind and you want to install a large 5mx5m rectangular sail shade, we would discourage you. Regardless of the strength of the fixings, 25 square meters of sail shading can generate a lot of force in strong winds ! Also, consider the location of barbecues, the direction of the sun , telephone electrical cables / and water pipes before you start planning your fixing points. Size and shape : if our range ready are not suitable for your installation, we are able to custom make a shade sail customized to your needs. The Shade Sail Boutique are suppliers of high quality pre-made shade sails and fixings, as well as custom shade sails. With many years of experience in providing shade sails for the public market as well as commercial installers and business, we know that our customers want one thing more than anything else. Quality. Our customers want the best products available ... at a reasonable price . They know that purchasing a top quality shade sail provides better uv protection and is cheaper in the long run than buying cheaper products that do not last. The objective of the Shade Sail Boutique is to meet this requirement and to supply our customers with the best shade sail for their needs. Our shade sail are very high quality and they have a 10 year warranty against UV degradation. We do not compromise on quality. Our shade sails are manufactured using only the best fabrics available. Our shade sail fabric does not deteriorate or change its colour due to exposure to UV rays. Our customers can be assured that a shade sail purchased from the Shade Sail Boutique will look good when it is erected, and will continue to do so years later. We do not have stores, we simply aim to supply our high-quality products at very competitive prices. The Shade Sail Boutique offer quality 'ready made' shade sail made using only the best shade cloth which are guaranteed for 10 years against UV deterioration . Our shade sails are available in two formats (square and triangular) and several sizes and colours are available. We supply custom sail shades made to your exact dimensions. Our custom shade sails are available in 340 g/m2 sail cloth. Shade Sail Boutique provides mounting kits for your shade sail all manufactured from marine grade, stainless steel. The use of these high quality materials ensures that the fixings will not fail in windy conditions and also that they will not rust and can not contaminate your shade sail with rust. Shade sails were originally developed to confront a specific problem, namely the very high rates of skin cancer in Australia during the 1960s, 1970s and 1980s. 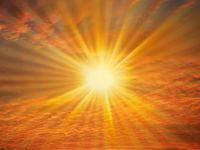 The fabric with it UV protection built into every strand was specifically developed for this purpose. As we become more and more aware about how much the sun can cause this kind of cancer, the more we try and protect our selves and especially our children from this horrendous disease. Life can never be risk free, but when we can identify a specific risk and when there is a fairly simple, low cost protection we can install, then most people will consider the solution carefully. In Australia shade sails are much more common than they are in europe, but this changing. More and more schools and nurseries are installing shade sails. We want our children to play outside but we do not want them harmed. The shade sail is a relatively cheap solution to meet this need. At home we want the children to play in the garden or perhaps the pool. Shade sails are now more and more popular for home use especially to cover pools. The reason for this is that children can often spends hours and hours in a swimming pool in the summer which we all encourage, but we need to reduce the risk of sunburn or skin cancer. 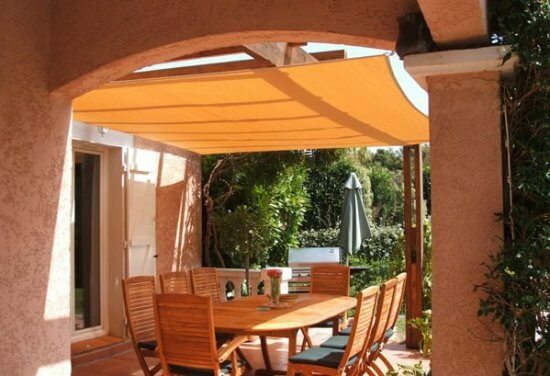 With installations costing as little as a few hundred francs, the shade sail has a very strong future protecting our families from the harmful effects of the sun while allowing them to continue to enjoy being outside.